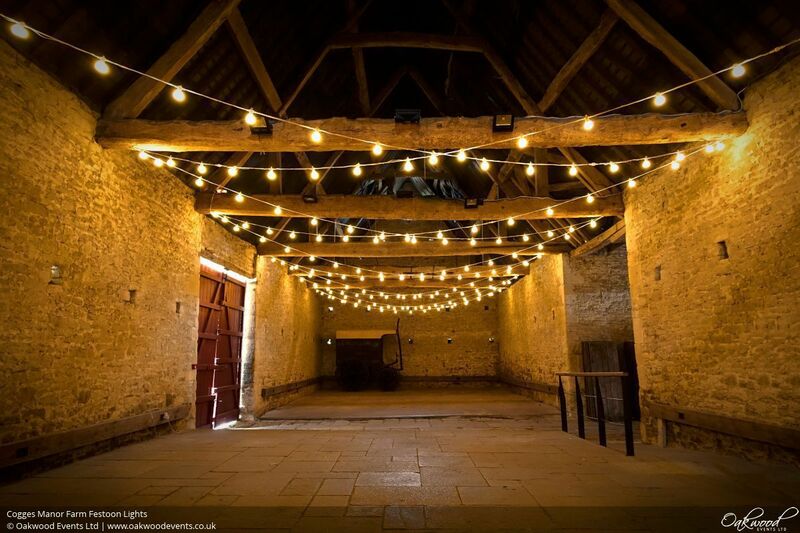 The rustic charm of the barns at Cogges Farm in Witney and pretty, practical festoon lights are a match made in heaven! The two beautfiul, rustic barns at Cogges Manor Farm look amazing decorated with a simple display of festoon lights hung from the beams. The lights give a warm, gentle glow to the barn which is perfect for creating a relaxed and inviting atmosphere in these large spaces. 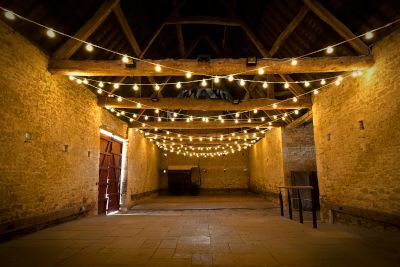 Festoons can be used in several ways to light the barns both inside and out. Shown here is a crossed strands canopy in the larger Wheat Barn - simple and effective! For more lighting ideas in this wonderful venue see our Cogges Farm lighting page.